This entry was posted on December 7, 2010 at 10:14 pm and is filed under Andy's observations, ebooks. You can follow any responses to this entry through the RSS 2.0 feed. You can leave a response, or trackback from your own site. as an long time editor and ex-publisher now writer scholar still translator i would never read an e-book. i wonder whether e-books will actually increase the sale of titles? any evidence of that? because they are half the price and evidently more convenient for lots of people. i do see quite a few folks reading them at my coffee shops here in seattle.. Thanks for weighing in Michael. I think there have been some surveys about this that appeared in Publishers Weekly. But I was too lazy to try to find them and all of the data on reading habits are flawed. So my comment was anecdotal based on a very unrepresentative sample, my brother, ken. Thanks Christie. We wrote about this a few times in Ask the Agent. Publishers are concerned that Amazon has the power to determine what the consumer thinks is the inherent value of a book. Publishers are also concerned that the price will be so low that people will abandon paper books altogether. Apparently Amazon’s statistics about selling more kindle editions than hardbacks is true. But you are right. 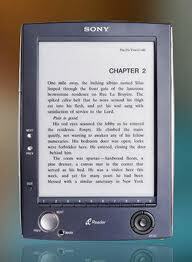 A huge amount of all e-books are Kindles that are sold only from Amazon. Publishers are saying that about 10% of all best seller sales are on e-book editions. But it is growing fast. 1. “A lot of people think that e-books don’t cost anything so they should have a price that reflects this. Amazon seems to be promoting this idea for their own reasons.” What could those reasons be? Seriously, I’ve had a real “WTF?” feeling about Amazon’s pricing strategy for awhile. Are they trying to put publishers out of business and make editing a crowd-sourcing activity? 2. My little statistics pet peeve: when Amazon says they’re “selling more Kindle editions than traditional books” they never highlight the fact that they have 100% market share on Kindle editions but, what, 17% market share on paper books. They’re brilliant about publicizing misleading numbers. Don’t forget, Andy, that Kindle ebooks can also be read on iPads just by downloading the Kindle app onto your iPad. Catharine. Right. You can read Kindle editions on iPads, but you can’t read iPad editions on the Kindle. Andy, why would marketing be less for an ebook? Why would typesetting and editing be less, as your numbers indicate? I am an author with my own publishing operation. I just published a book written, edited, designed, and packaged for printing-on-demand entirely on a computer and via the web. It seems to me my editorial, typesetting, and marketing costs would not have dropped had I first put my book out as an e-book. They would have been identical. To introduce another issue, let me begin by saying I may yet put out my new book as an e-book. By doing so, I can drop the cost to readers into the single digits even as I significantly raise my royalty per sale, already much greater than what a corporate publisher would pay me. If that is true for me, it is true for countless other authors, and for that reason E-book publishing may make author/publishing irresistible for authors who have the sort of “platform” you describe in another post, a bit of business moxie, a modest amount of capital they can put at risk, and a willingness to climb the steep learning curve it takes to set up your own professional grade publishing operation (a very different proposition than the sort of amateurish self-publishing that relies on so-called author services). For such authors, setting up their own operations can result in their royalty rates and gross royalties greatly increasing rather than getting chopped as e-books take over. P.S. — I have read a number of your posts. They are clear, lively, insightful, helpful, and sometimes moving. Thanks. Dave, I can’t answer all those questions precisely. I was using numbers from a New York Times article that were provided by publishing executives. I have some other problems with the analysis too, but I need to simplify in order to keep it clear. One of the reasons that marketing would be less for ebooks is that a fair amt of money is spend on paying stores to put books in prominent places or on display. And those costs could be as high as .25% per book. I can’t think of why editorial costs would be different from ebooks. There might be some differences in design though. The other questions you raise are pretty interesting and probably too complicated to address here. Self-published books have a hard time getting any attention. Most of them aren’t very good. And the ones that are good can easily get lost in the ocean of mediocrity. We can talk about it some more though.